There’s no simpler way to get perfect exposure. Point. Shoot. And the Air Remote TTL communicates wirelessly with your flash to give you perfect exposure. It’s that simple and done in the blink of an eye. Connect your Profoto AirTTL light to your camera wirelessly by attaching the remote to your camera’s hot shoe. Then point and shoot in TTL mode and the Air Remote TTL communicates with the flash. 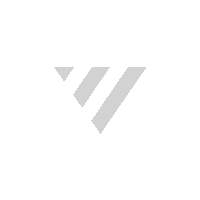 You get perfect exposure. Automatically. Long operating range of up to 300 m (1000 ft.). Controls up to 3 groups of lights on each channel. Intuitive and easy to use user interface. 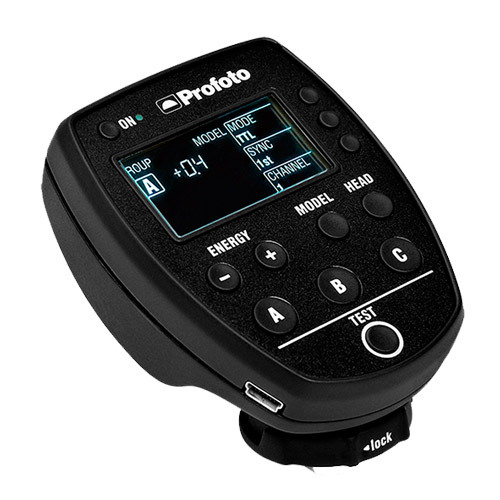 Using Profoto AirTTL you can even leave your light meter at home and get your shot faster. For more precise control first shoot in TTL mode to get perfect exposure, before switching to Manual Mode, keeping the same settings, and finally creatively fine-tune and tweak the light just as you want it. The AirTTL remotes are equipped with Profoto High-Speed Sync (HSS) that allows you to use your flash at shutter speeds up to 1/8,000s. HSS ensures you can control and shape light in broad daylight and it enables you to get crisp images without motion blur when mixing flash with available light. Shoot in HSS Mode to shape light in broad daylight. Switch from TTL Mode to Manual Mode with the automated TTL settings intact – a huge time saver. Sync and manually control any Profoto light that is compatible with Air. USB port for firmware upgrades. Normal sync up to 300 m (1000 ft), Remote control and TTL sync up to 100m (330ft). Yes, 30 min of inactivity. Yes, triggers Air Remote &, Air Sync transceivers plus all Profoto flashes with AirS, Air or AirTTL support. Yes, TTL group control for all Profoto flashes with AirTTL support. 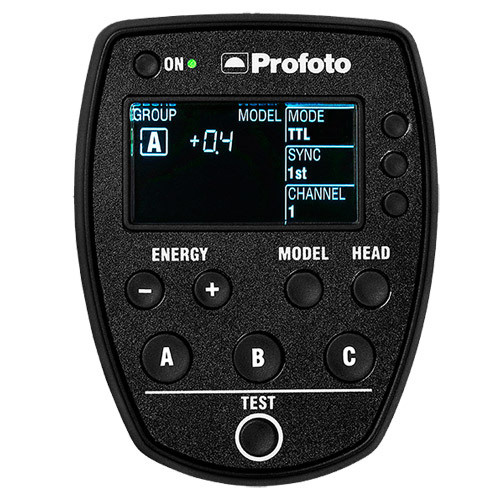 Yes, remote/group control for all Profoto flashes with Air or AirTTL support.